Scotland, we’ve had some great times together, and you’ve been there when we’ve needed you most. It’s just Japan can offer something you can’t. Japan has the planet’s finest whisky and, *sigh*, we’ve been getting together behind your back. Please don’t be angry. In our defence, we’re not alone in ditching a classic Highland dram in favour of an East Asian snifter. Since Yamazaki’s Single Malt Sherry Cask 2013 beat off thousands of other competitors to claim the title of 2015’s world’s best (and leaving Scottish-born spirits out of the top five for the first time), it’s easy to see why lovers of the ‘water of life’ have changed their allegiances. Pretty amazing for a country who’ve only been making the stuff for 100 years, versus Scotland’s half a millennium. But if you’re keen to sniff out Yamazaki’s award-winner, prepare to fork out the big bucks: around R1 600 to be exact. “Look out for the names Suntory and Nikka instead”, says Fabiano Latham, bar manager at Chotto Matte, which has an incredible range. 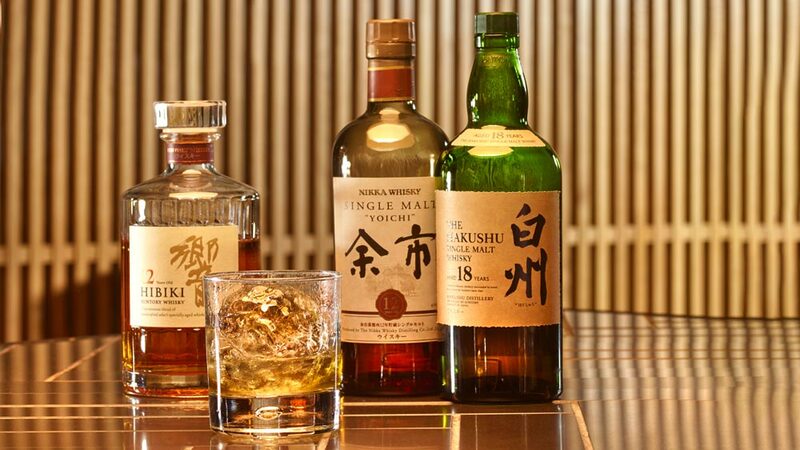 “Suntory produce Yamazaki, but also Hakushu and Hibiki, and Nikka are the geniuses that produce many amazing single malts. These are the distilleries from the original masters of Japanese whisky – Torii and Taketsuru. These guys know what they’re doing”. OK, ice cubes will do, but for the real Japanese deal, one hand-carved fist-sized ice sphere in your glass will keep your spirit chilled for longer. A Japanese classic, this sounds strange but tastes amazing and super-refreshing. Add a sprig of mint for the full effect. Replace your go-to whisky with a Japanese single malt and just a dash of a peaty Scotch for a killer classic with a modern twist.